At last! Coffee makers are coming out with compostable Keurig pods / K cups. Waste was one of my biggest factors against owning a Keurig. But I love using one, they are so convenient and awesome. I recently got to try Cameron’s Southern Toasted Pecan, in compostable K cups coffee pods. (Yes, it’s technically a pod, but people are used to calling all things Keurig as “K cups.”) I found mine in Safeway, but Amazon.com carries it, too. I love flavored coffee. I don’t buy my dad’s maxim that “People who want flavors in their coffee, don’t like coffee.” Truth is, I love coffee, just the regular flavor of delicious coffee. 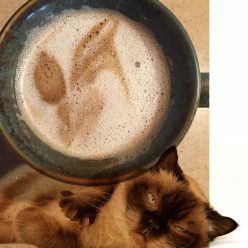 But I’m also a culinary adventurer, and I love nothing more than to try new flavors in all of my foods and drinks, especially coffee (well, duh, hence this site). One of the problems I have with the various Starbucks K Cups flavors, is that many of them have a nasty after-taste. It’s similar to the after-taste you get when you add too much Stevia. This is found only in some of their flavors. Others of their flavors taste better without any cream or milk, by the way. You will have to experiment to see which you like best. Cameron’s Toasted Southern Pecan has no after-taste. 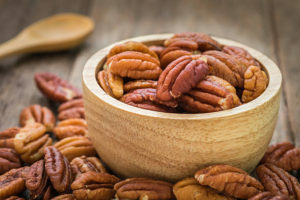 It is pure deliciousness with the nutty sweet flavor of pecans, like what you get in homemade Pecan Pie (one of my favorites). The aroma alone will delight your senses as it is brewing into your cup. This is the best part – the coffee pod is compostable. Note the fine print, however, to double-check with your own composting rules in your community, some places are equipped and some may not be, just yet. Also, it is not suitable for backyard home composting. But in the town where I was staying, they compost everything, even meat and bones, so I knew they could handle a compostable coffee K cup. With more companies offering compostable K cups for coffee, our caffeine habits are getting greener every day. This is great news. Have you tried some Keurig compostable cups or pods? Tell us in the Comments what you think and which are your favorite.